One of the medical community’s most effective means to understand what is happening in your body is to conduct a blood test. In effect, the test is a snapshot of your current health, and the count of white and red blood cells, along with platelets gives doctors strong indicators as to the type of ailment you are suffering from. Below is a quick guide to what those numbers mean. When a physician orders a lab test during a routine physical exam, it will typically include a blood test, specifically a CBC blood test. 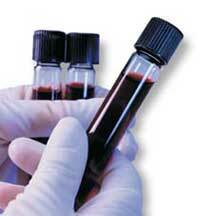 CBC, complete blood count, is helpful to the physician for determining the levels of different cells in the blood. The purpose of this test is to examine the white blood cells (WBC), the red blood cells (RBC) and the platelets. When a complete blood count is ordered, the blood will either be drawn at the doctor’s office, hospital or a lab. The blood is then sent to a lab for testing. Should the results the CBC blood test show a high white blood count (WBC), it may mean there is an infection somewhere or in some cases, it could indicate the presence of a malignancy or STD. When someone is taking antibiotics for the treatment of an infection, a CBC will sometimes be ordered to determine if the infection is responding the antibiotics. Whereas, a low WBC, may indicate a bone marrow problem or individuals undergoing chemotherapy may have a reduced WBC due to a side effect of the chemotherapy. When the red blood count (RBC) is high is could indicate a number of different situations such as a lack of oxygen in the blood or a problem with the bone marrow. When the RBC is low it could be an indication the individual is anemic. A high platelet count could be the indication of a sever inflammation whereas a low platelet count could explain a prolonged hemorrhage. A CBC result will show the normal values of the white blood count, which is between 4300 and 10, 800 cells per cubic mm. When value is higher than 10,800, it is likely to an infection or it could be the indication of leukemia or cancer. However, the physician, in most situations, will do a number of other lab tests to determine the reasons for the high WBC before making a conclusive decision. A WBC lower than 4300 could indicate an autoimmune disease, problems with bone marrow, or a reaction to certain drugs. The physician will also take into account the other symptoms reported. A normal RBC level falls between 4.2 million cells per millimeter to 5.9 million cells per millimeter. If the levels are below 4.2 million it could be an indication of anemia or above 5.9 million could be the result of dehydration or burns. Platelet levels are between 150,000 and 400,000 cells per millimeter. The platelets are responsible for blood clotting. If the platelet level falls below 150,000, it could present a problem with the amount of time it takes to stop bleeding. These are the basic levels reported by a lab on the results; they are not an indication of every individual falling into the same category. A physician will review the lab tests, blood tests and all symptoms reported before making a general determination.